Annually the Archdiocese of Los Angeles honors students from all Catholic high schools for significant contributions in the area of Christian service. This year two of our Seniors received the Christian Service Award. 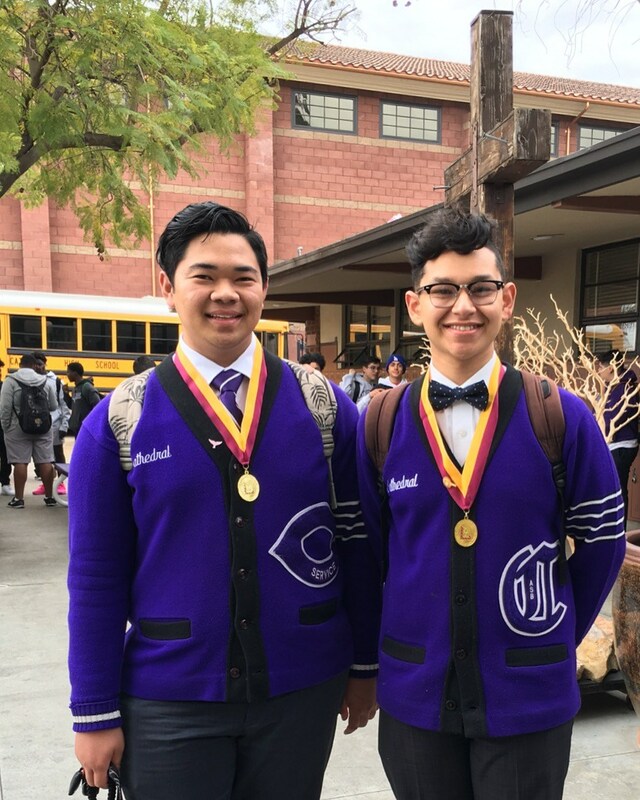 Congratulations to Brian Oshiro and Allen Cañez for representing us well.